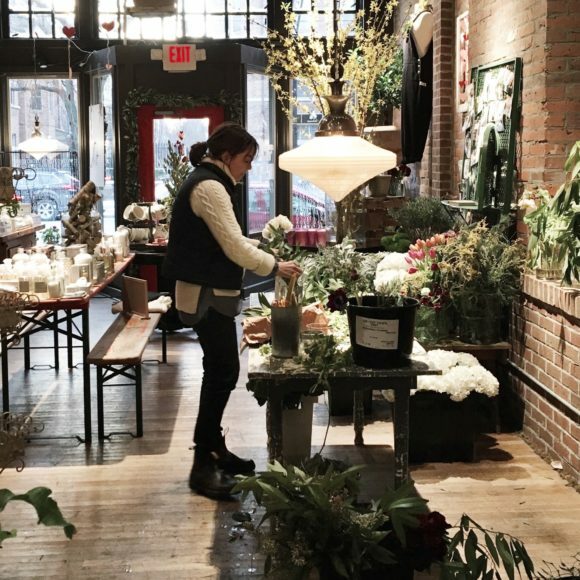 rose bredl, a full service floral design retail studio – fresh flowers – american made curated products – plants – cards – candles – boots – bags – blankets – pottery. the rose bredl approach to floral design – natural – fresh – classic – timeless – sophisticated – original. mary ernst mccolgan – designer / curator – a background in retail/design marketing – working for Estee Lauder and Abercrombie & Fitch – the retail studio is an extension of my life, a curated floral based lifestyle reflecting the East Coast, American roots and sophistication. A reflection of all of my experiences and travels, allowing me to accentuate my style: preppy, natural and classic. the name – mary’s maternal grandmother – violet “rose bredl” stuart; earthy, old fashioned, feminine. rose bredl is a place I hope everyone comes in and feels welcome; at home.